Everyone who is not going anywhere else this New Year's Eve knows that the Burj Khalifa fireworks are not to be missed. Everyone who is not going anywhere else this New Year’s Eve knows that the Burj Khalifa fireworks are not to be missed. Every resident has, by now, come up with a well-thought out plan to beat the huge New Year’s Eve crowds. But what if we tell you there are a few great spots around town where you can watch the fireworks? Here are some lesser known locations around Dubai with a great view of the upcoming New Year’s Eve celebrations. 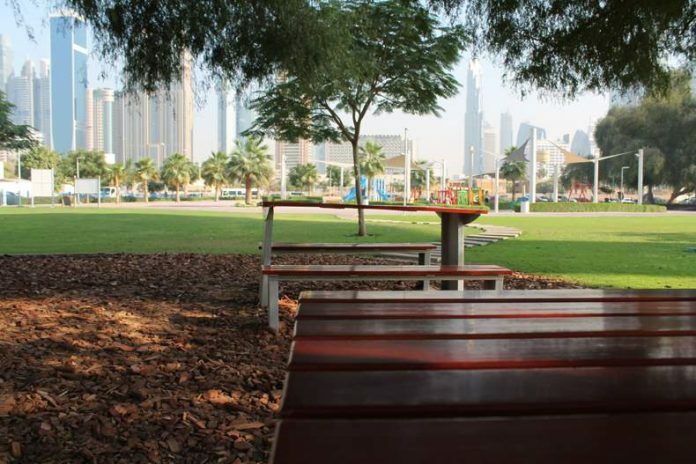 Al Khazzan Cadillac Park, one of Dubai’s newest parks, right across City Walk is a small hideaway that UAE residents can access for free. The park runs on solar power. Other than that, you can grab some wholesome treats at Khazzan’s very own healthy café Inn the Park. The Park provides a close-up view of the Burj Khalifa which is just located across the road. And who wouldn’t want some great, healthy food to welcome 2017? Despite being a fair distance from Downtown Dubai, d3 has a great view of the Burj Khalifa. Surround yourself with great art from UAE’s artists while you enjoy a relaxing and crowd-free view of the Burj Khalifa fireworks. What’s great about Bay Avenue? It’s near Dubai Canal and it has a spectacular view of the Burj Khalifa. For a unique way to enter 2017, take a water bus or water taxi and see the fireworks at sea. It might be a bit confusing to navigate the area that is the Gate Village in DIFC. A certain corner of the place where posh galleries and Christies’ auction house are located lends itself to a view of the Burj Khalifa fireworks that is not to be missed. What Does A ‘Post-American World’ Look Like?